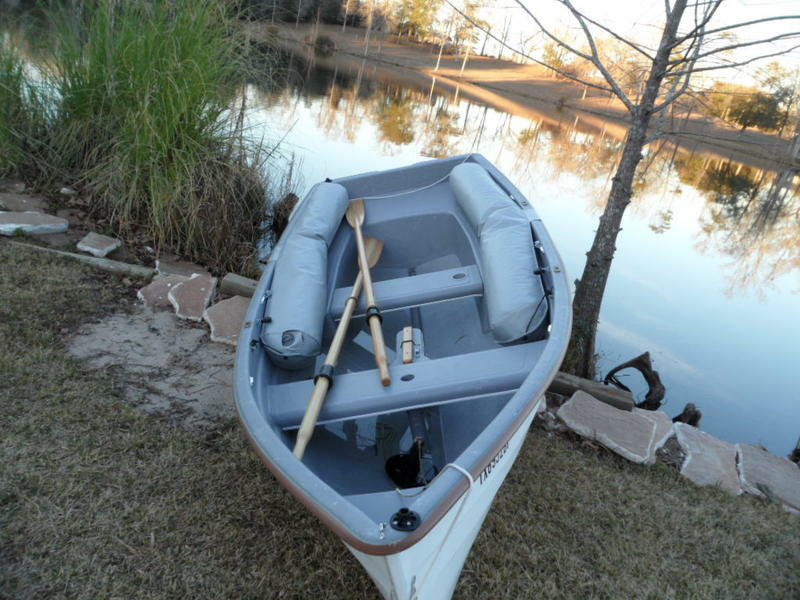 This 12 Point Defiance is located in Conroe, Texas. Owner must sell due to changing circumstances. This Point Defiance is almost as new being only a few months old. 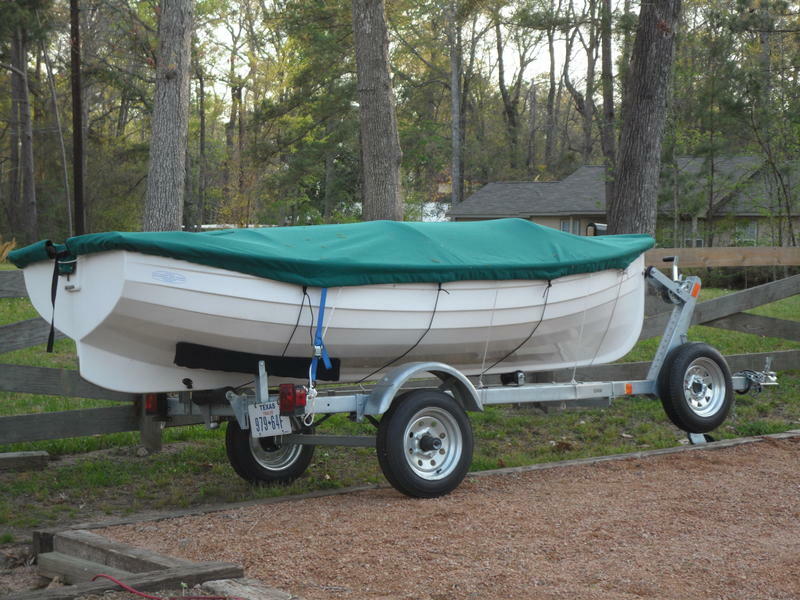 It has standard vinyl gunwales and construction with complete sail rig. 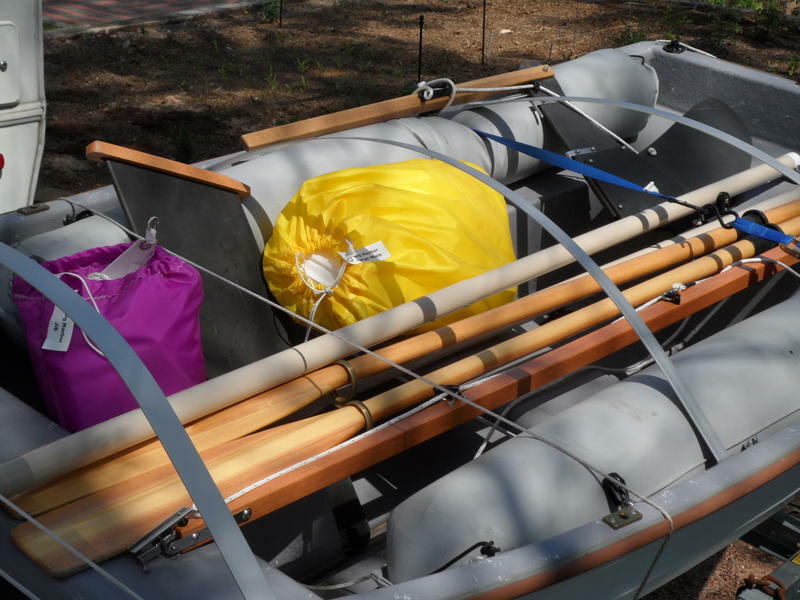 It also has a kick-up rudder, 1 pair of 8 flat blade oars, flotation tubes, stainless steel keel, a boat cover, and a custom fitted trailer. 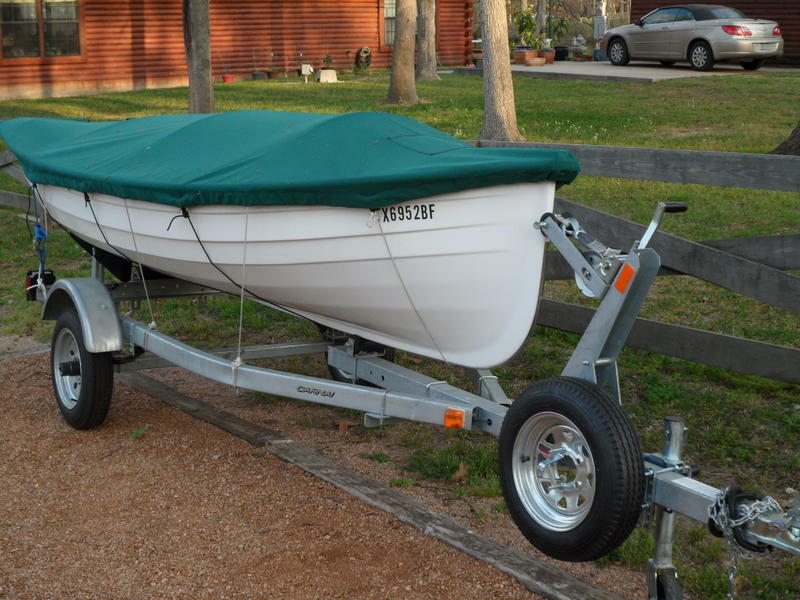 New price was about $7500 plus $2,000 in shipping to Texas. 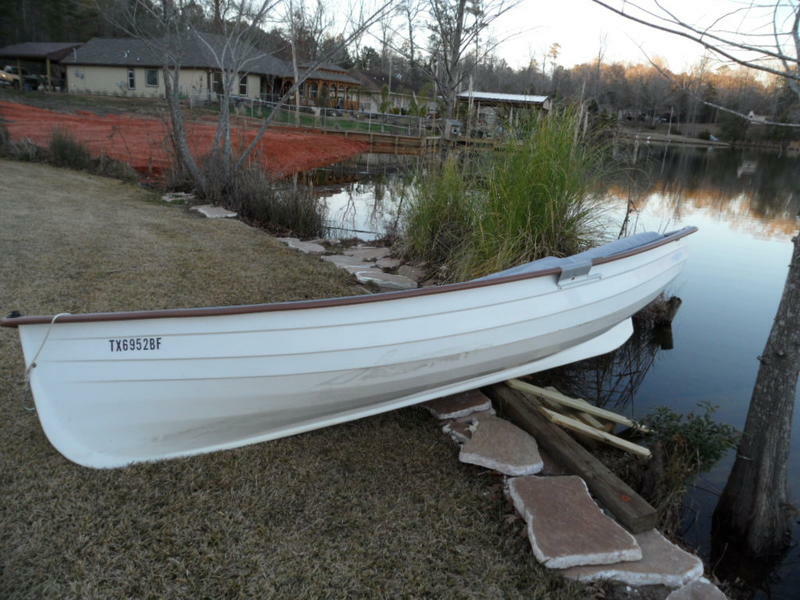 Asking price is $6500 so if any of you Southern folks are looking for a nice boat without the wait for a new one, give us a call at (# removed). Owner will arrange a viewing.